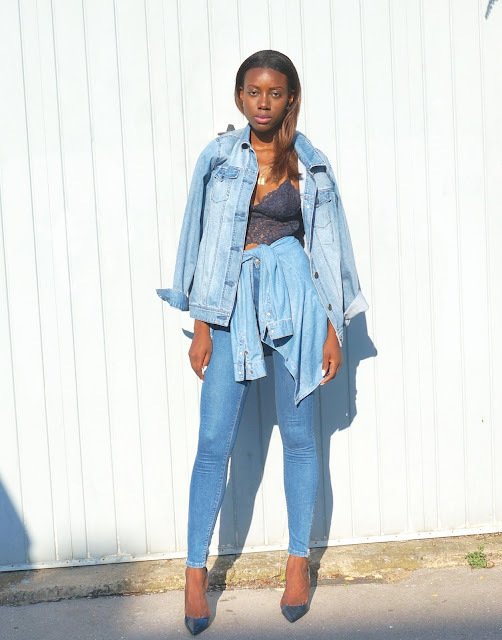 I can't seem to get enough of the denim on denim look off late and rather than just stick to the double denim look I thought that I would take things a little further and try out a triple denim ensemble. 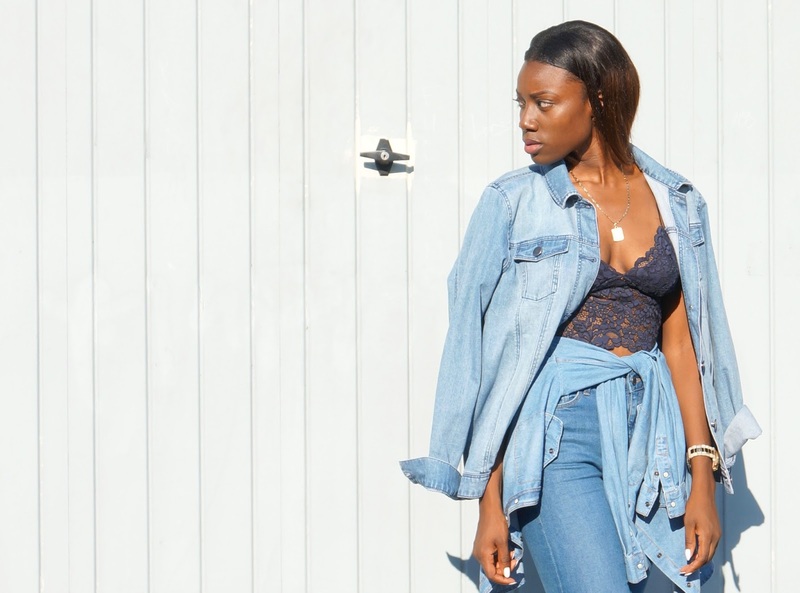 If only I had a denim bralet or vest top then I may very well have gone for a quad look. This is by far a casual look for a laid back occasion. It was a look a chose for a night of bowling an karaoke with friends during a warm summer's night out in London which is by far a rarity (the warm weather that is). It just so happened that my denim pieces were of similar shades and complimented each other pretty well despite being bought from different shops at different times (see links below). 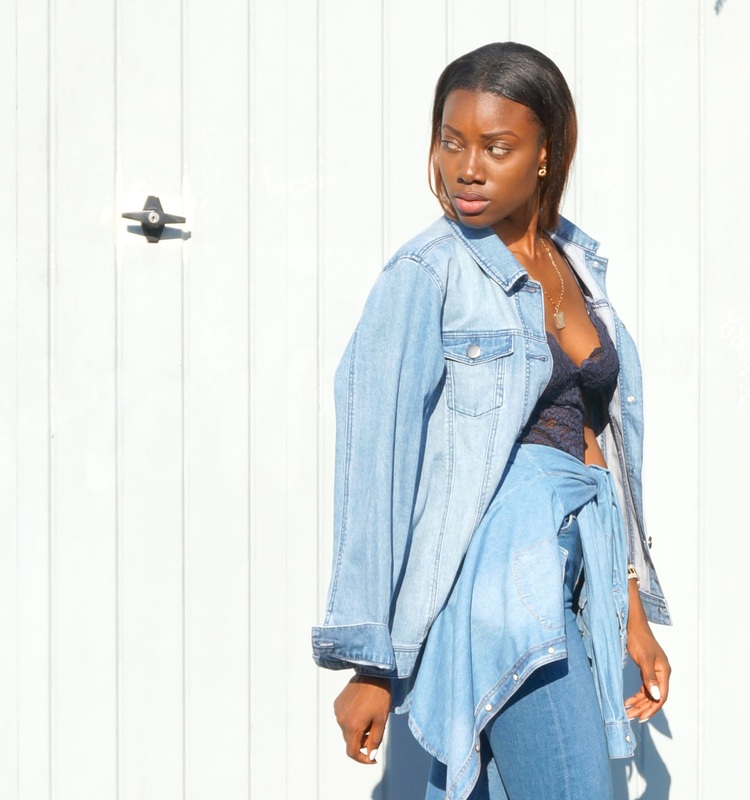 Despite me throwing on a pair of heels for the look, I could have easily thrown on a pair of flats or trainers for that matter. 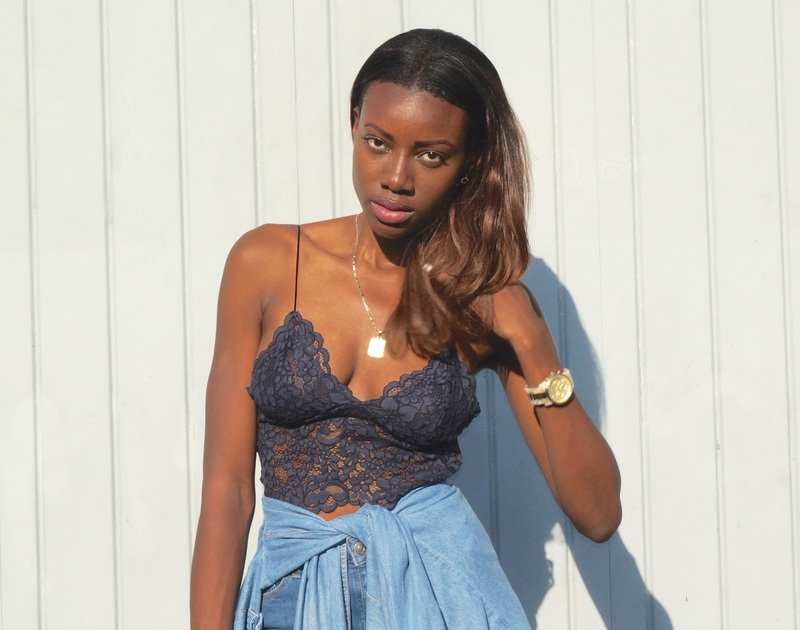 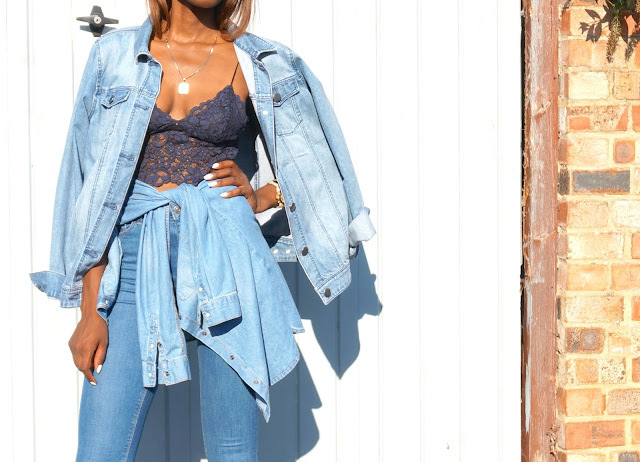 I would love to hear what your thoughts are on the triple denim look?